It might be the changing of the season, some extra down time I had in the beginning of the month, or maybe it’s just that time of the year when New Year’s Resolutions tend to weaken and dissolve but I wanted a lot of things this month. I even purchased a couple things to try (like the Veja sneakers I talked about here) but returned them so it didn’t have to count towards my one item for March. In general, I’ve been really into shoes lately. Probably because I’m still waiting to slowly fit back into my pre-maternity clothes so I’m not into clothes shopping and I already purchased a purse last month so that’s satisfied by bag cravings. So my eye has been wandering to shoes, which I haven’t purchased (and kept) in quite awhile (I think my last pair was the Everlane boss mules 6 months ago). Speaking of those Everlane Boss Mules, when I wrote that review back in September, I had mentioned wanting these mules from Jenni Kayne. Well even though I still love my Everlane mules I’m curious to try the Jenni Kayne ones and have been looking at them more frequently in March. I’m not quite ready to pull the trigger yet (because $395!!). Plus the Everlane ones still satisfy me as a dupe so I held off. Also even though I purchased and returned the Martiniano Glove Shoes (which I reviewed and compared with Everlane’s Day Glove flat), I can’t stop thinking about them. I want them back into my life! 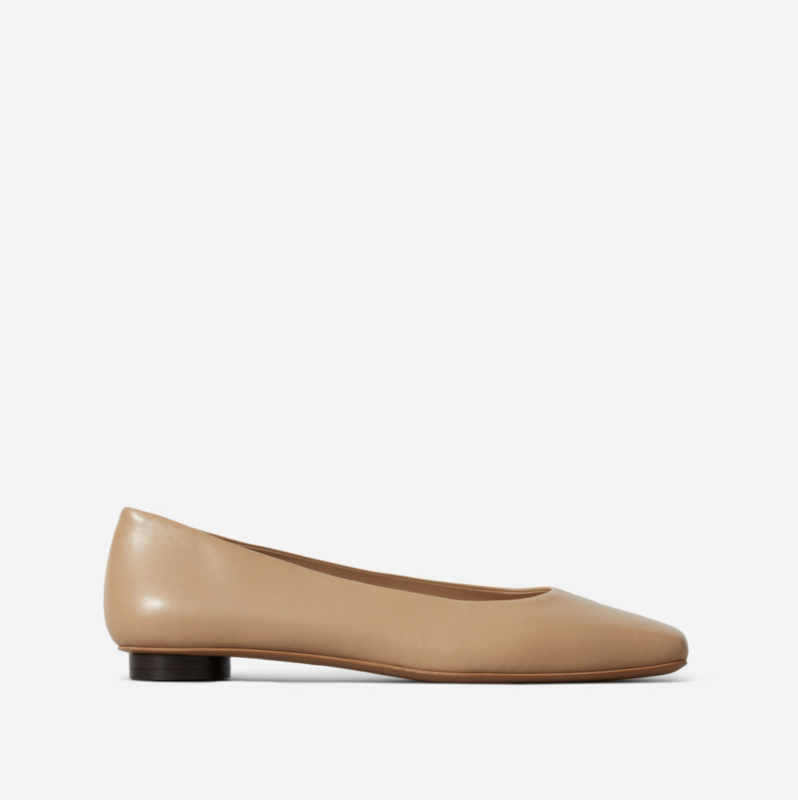 Another shoe I’ve been eyeing in March is Everlane’s square toe flat. Something about the grandma chicness feels so now. I also really want the 90’s cheeky from Everlane (in vintage light blue in the ankle length), but I held off on purchasing it because I’m still waiting for my body to normalize after pregnancy. There’s no point in buying jeans that I may not be able to fit into. If they’re still available when I’m back to my normal size then I’ll revisit the option. I guess I wasn’t completely bag-craving-free this month since I did want to add a couple bum bags (or fanny packs) to my closet. When I first saw this baggu one over at Grechen’s blog, I almost purchased it right then and there. But held off because I didn’t want to add a bag to my closet two months in a row. I also already have a really old black bum bag from Lululemon and if I haven’t used that one in awhile, I’m not sure adding another black bum bag is the right choice. I figured if I end up using the Lululemon one a lot, then I can justify upgrading to the baggu one. That’s the same thing I told myself when this Clare V belt bag also caught my eye. The one item of clothing that I want, mostly because I’ve been craving springtime weather, is this linen jumpsuit from Linenfox. I reviewed their kimono top here, which I loved, and their linen quality is superb. So I can just imagine how awesome this dreamy jumpsuit would be for the warmer months. I also love the cute button detail in the back. If I do decide to get this, I’m going to wait until next month so that I can at least wear it right away by the time I get it (with about a month lead time, I’d expect to get it around May). So what did I buy in March? I re-bought the Martiniano Glove Shoes off the RealReal. I found them for $180 in one size bigger and decided to try them out. And well, since my feet swelled up after the c-section, they were the perfect shoes to wear for the multiple doctors appointments in the weeks following. They may be too big when my feet get back to a normal size but I was planning to add some orthotic insoles for my arches anyway and that would make them fit (I think). Also this way, my toes won’t be as visible through the thin leather. We’ll see after my feet go down in April if purchasing these shoes was a good or bad idea. I also couldn’t pass up a pair of Martiniano Glove Heels that I found on ebay for $95… and a pair of pearl drop earrings I purchased on credit from the RealReal…and a pair of Chanel ballet flats also from the RealReal (but not on credit this time). So as you can see my resolution was a total fail this month. I think it was a mix of surgery anxiety distraction and a “treat yo self” attitude because it was my birthday month (and I would be spending my birthday in the hospital so why not come home to presents I bought myself), and even a little bit of a “once I have a kid, I won’t be able to spend money on myself again” feeling. Anyway, all of this was purchased in the short 2 weeks before my c-section. But even though I failed my resolution, I refuse to give up. April is a new month and I’m going back to purchasing only one item again. Wish me luck!